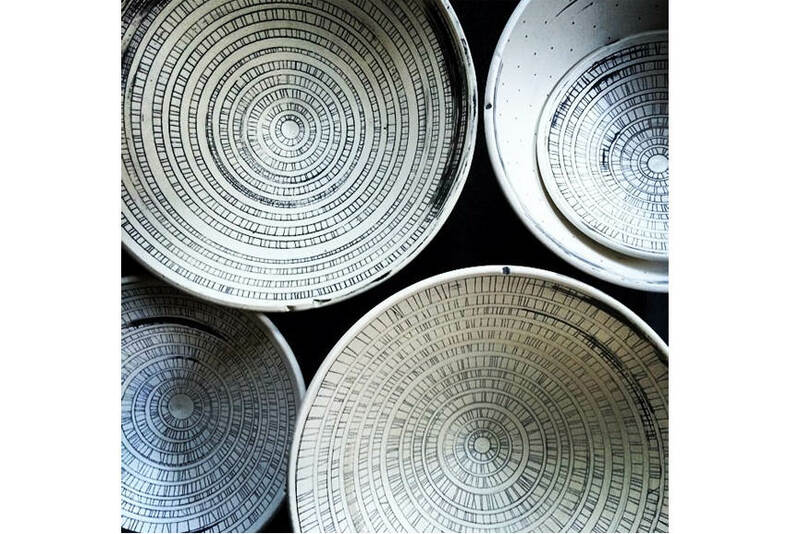 Present in the craftwork arena for ages, ceramics have been making a huge impact on the fine art scene lately. Ceramic art has never been more popular than today, and artists who are dealing with ceramics have never been so wanted by galleries around the globe before. And when we say ceramics, we don’t mean just the craft side of the story, because there is far more to it than just functional pottery. Ceramics art can be very rich in details and symbols, sometimes showing mythical pathways, signified animals, abstracted forms, figurative sculpture, enigmatic creatures, or remodeled objects. On the other hand, in can be very simple and clear in its form and functionality. 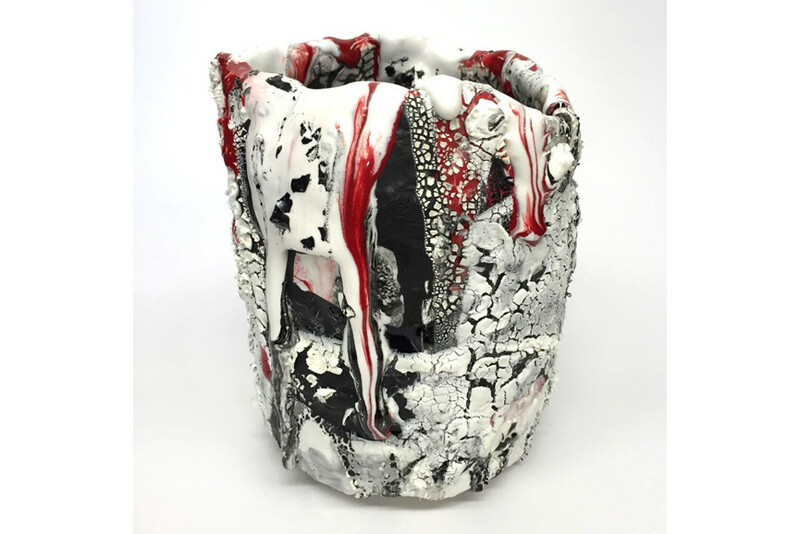 Ceramics are widely presented in various forms of art, often expressed with vivid colors, or in a black and white contrast, while playing with highly manipulative properties of clay. It is up to the artists and their skillfulness to see what will come out of their ateliers in the end. What eventually does come out as the final product usually is – pure art. We are presenting to you some of the young and extremely talented emerging ceramic artists, who have already established their names in the world of clay and porcelain crfatwork, but for whom there is so much more yet to come. They are the artists to watch in future. If you are a true fan of ceramic art then you are going to love this book. It is a comprehensive guide to the world of clay and pottery, featuring 700 color photos and illustrations, as well as detailed instructions on various techniques and styles. This book also includes artists’ statements, illustrated examples of ceramic artworks, historic facts and explanations, advice for solving problematic issues, and various helpful resources. Whether you are an art student or a professional, or you just happen to love collecting ceramic and porcelain art pieces, this book is really going to be like a bible to you. 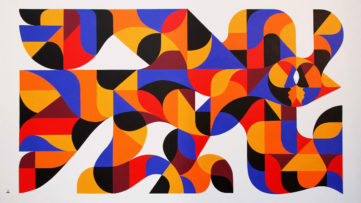 Optical art has been very influential to the work of a young London-based artist Jin Eui Kim. His contemporary pottery practice shows an impressive sense of formatting ideas and some of his impeccable crafting skills. And he certainly knows what he is doing, because he is a proud owner of BCA and MA diplomas in ceramics, and recently he graduated with a Ph.D. in ceramics from Cardiff School of Art and Design. If we would have to describe his artwork in one word it would be – hypnotic. And pretty much addictive, may we add. Its display of endless circle lines is making a solid base for illusionary play with viewer’s mind. He wants to dig deeper to the forms of optical illusions, and we are already looking forward to witnessing his new artworks. Jin Eui Kim seems to be wanted all over Europe, as his 2016 exhibiting schedule is pretty tight. The experience she had gained in the US military service, Jessica Putnam-Phillips is putting into her artwork. 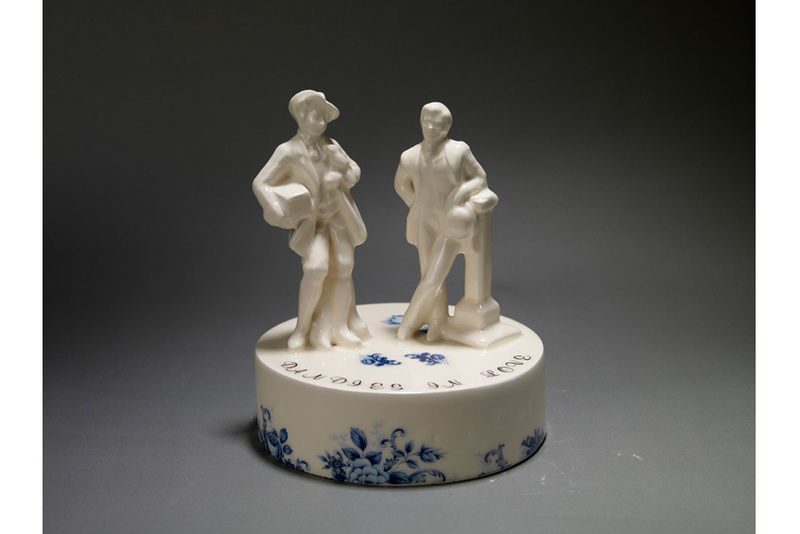 She is mixing a feminine image of an American housewife with the fearlessness of a woman soldier while creating unique pieces of ceramic art. She is illustrating them herself, and she is very much interested in breaking the stereotyped image of a woman in a man’s world. Her fascination with gender roles came clear to her while she was in the Middle East as a military intelligence specialist in the US Air Force. It was after her return to the United States that she decided to change her career, and so her artistic journey started. 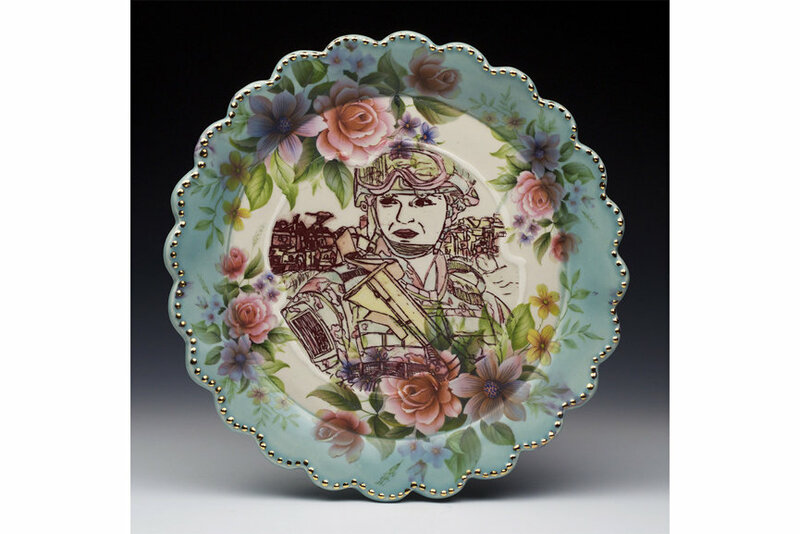 She is still concerned about re-imaging a woman’s place in society, so her work usually features a girl soldier with a rifle on her back surrounded by flowers and gardens as parts of a domestically weaved table wear. Jessica Putnam-Phillips has made a great breakthrough to the artistic scene around the world in 2015, and she is ready to dive deeper in her ceramic artistry. 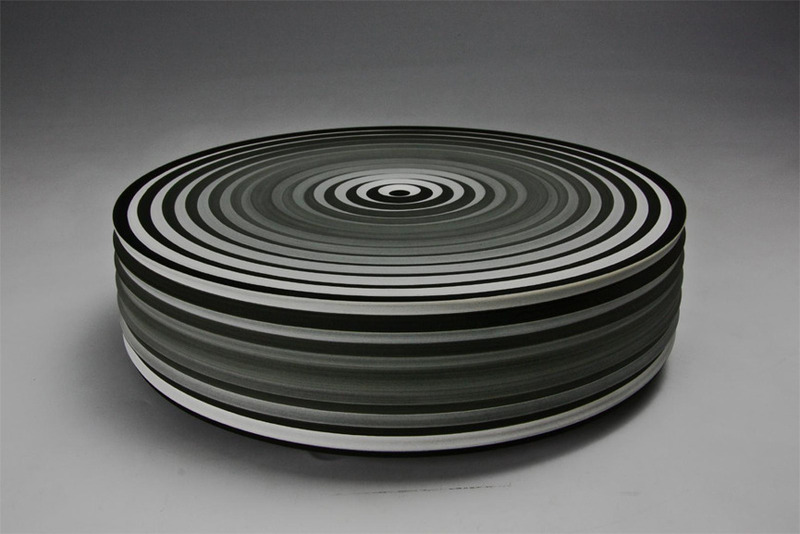 Brian Rochefort is another young and very popular ceramic artist out there. His artwork has been presented in galleries and art fairs all over New York City, Los Angeles, and Miami, only in the last few months. Art critics tend to define his work as a harsh romance. And whatever you may want to call it, you must admit that it is appealing and quite effective, with a strong personal statement. His most famous artwork is Cups, a series of miniature sculpture, so rich in color and detail that you would need more than one quick look at them to realize their true meaning. There is layer after layer, a paint over paint with some serious melting effects, and the outcome of all of the Rochefort’s experiments and plays with a medium, the final outcome is a valuable ceramic art. List of promising ceramic artists just wouldn’t be complete without Jesse Wine, a British artist who has already had his work showed in galleries around the world, and was the recipient of the Camden Arts Ceramics fellowship in 2013-2014. Wine enjoys observing human behavior and portraying it in a form of various ceramic sculptures. 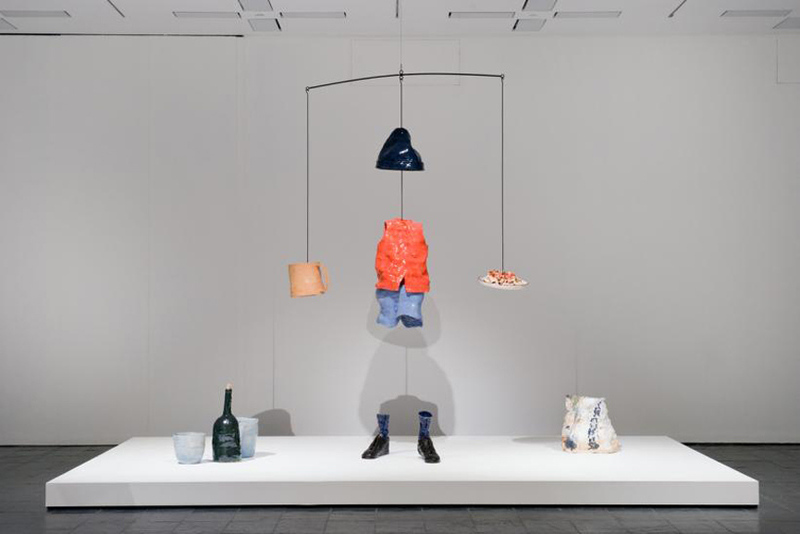 That is why his artworks are usually getting the form of human heads, but then again, he is often presenting some of the objects for human use, such as plates, wine bottles, or shoes. But Wine’s art objects are not always so thoroughly shaped. His art pieces are often massively textured, with multiple glazes, while exploring the relection of the glaze, and manipulating the expressive properties of clay. Besides being curious about creating his own career path, Jesse Wine is also keen on investigating the history of ceramics and mixing the present and the past in his own art. Bianka Groves is fed up with this fast-paced world we are living in today, so she chooses her art to be calm and quiet, as a peaceful opposite to this ever-changing reality. Her artistic ceramic crafts are well-balanced, with clean forms and repetitive lines. But this repetition doesn’t mean that she doesn’t have new ideas, but confirms her devotion to making art somehow perfect. In contrast with that, to every piece that she makes, she is leaving a touch of imperfection, to make them alive and to give them some personality. Her art is functional and creatively designed, inspired by nature and architecture. Bianka was only a teenage girl when she noticed her interest in ceramics, so she started experimenting. Since then, she has traveled the world, worked with various ceramic art forms, met various artists, and finally, she has created her own authentic style. It is simple, but recognizable. Matt Smith calls himself a hybrid artist and historian. He is all into revealing the secrets of establishment organisations and bringing them up for a public disposal. At the same time, his artwork could be defined as a mainstream and as an underground art. He is pointing out to the importance of the marginalized problems and neglected issues, by giving them a possibility for a recognition they deserve. Smith is using techniques of institutional critique and artist intervention to make the invisible become visible. 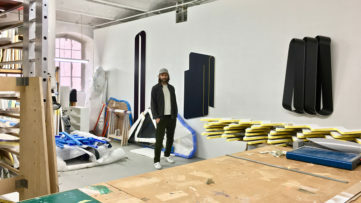 He is not shouting his way out but rather quietly crafting his path through art scene, while also working as a curator. Currently, he is in his Ph.D. studies at the University of Brighton, where he is researching the intersection between craft and LGBT identities. New York-born artist Magda Gluszek is now living in Arizona, where she teaches the art at Northland Pioneer College. When she isn’t teaching, she is making her own art and leading a “Build it Big” ceramics workshop for students. To give them the example of what the big means, she created the Fox, a community art piece located at the White Mountain Campus in Show Low, Arizona. Magda is not a shy artist, she is not afraid to go out and play with the clay. 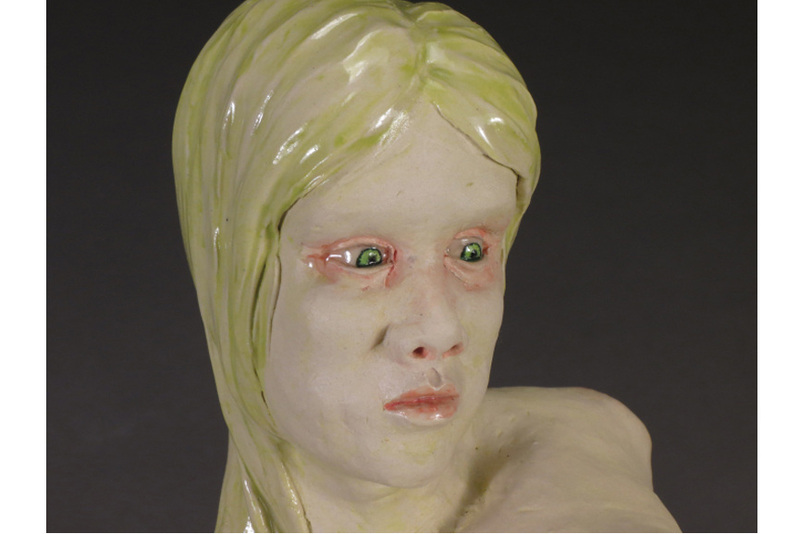 Her pottery art is affected by her body movement and is expressive in contrasting the color and surface. With a desire to perform along with cultural forces that guide her, but with urged with animalistic instincts, her work is in a way illustration of a human-animal mixture. Her artworks are sometimes appearing to be intimidating to a viewer, but on the other hand, her art reveals hidden fears and has a deeper meaning of self-awareness attached to it. 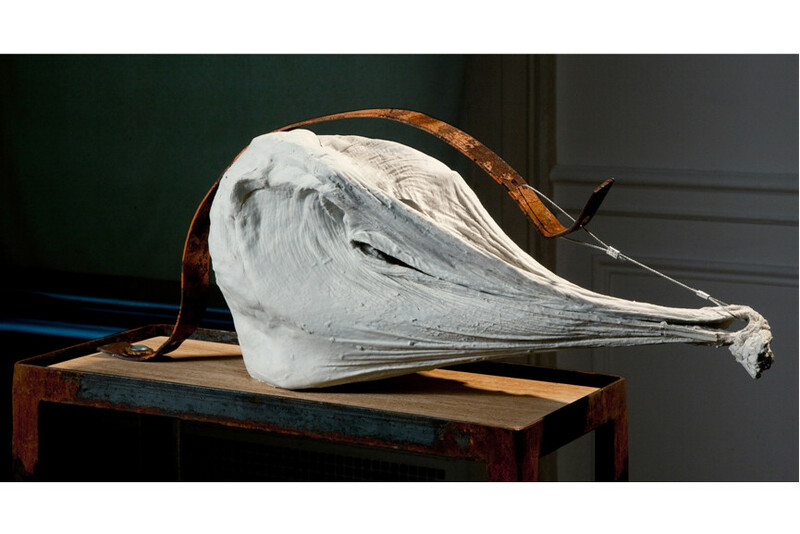 Erica Nickol is a sculptor inspired by the fragile nature of human beings, and all the visible and invisible forces that guide us through. She is eager to capture those forces and their impact on human behavior. 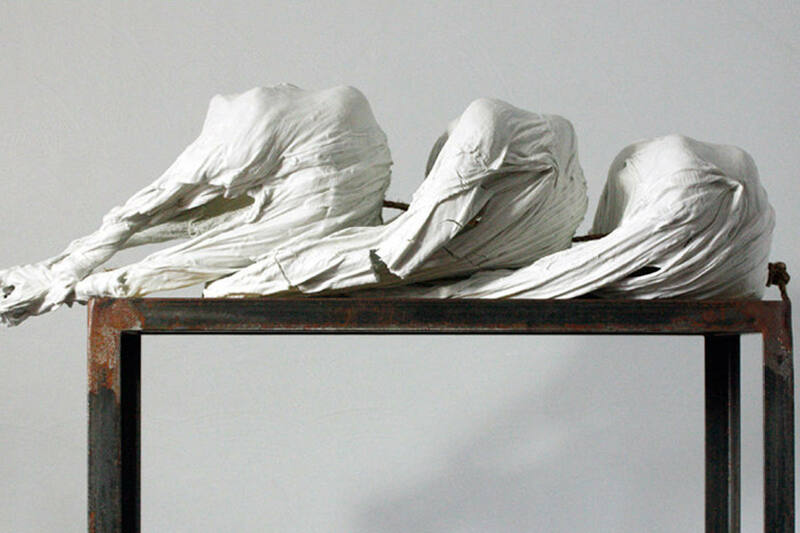 She is using porcelain to show the fragility and combines it with hard materials like steel, rope, or wood. While contrasting the translucent nature of porcelain and a robustness of other materials, she is telling her art story with subtle differences, active surfaces, and modular textures. There is a trace of common line flowing among the curves of the complex forms of her art. So far, Nickol’s work has been exhibited in solo and group shows in galleries throughout New York, Philadelphia, and Pittsburgh. And that is just the beginning of her inspiring career.